The Supreme Court today dismissed a plea filed by Campaign for Judicial Accountability and Reforms seeking Special Investigation Team (SIT) probe into an alleged Medical Council of India (MCI) bribery case and imposed a cost of Rs 25 lakhs on it. The three judge bench headed by Justice R K Agrawal said the fine amount is to be used as funds for SCBA Welfare Fund. "The petition is not only wholly frivolous, but contemptuous, unwarranted, aims at scandalizing the highest judicial system of the country, without any reasonable basis and filed in an irresponsible manner, that too by a body of persons professing to espouse the cause of accountability. What an irony of fate, the petitioner has itself forgotten its accountability and filing of such petition may entail in ultimate debarment of such petitioners from filing so-called public interest litigation which in fact has caused more injury to cause of public than subserving it". "Accordingly, the writ petition is dismissed with cost of Rs. 25 (twenty five) lakhs to be deposited by the petitioner before the Registry of this Court within six weeks whereafter the said amount shall be transferred to Supreme Court Bar Association Advocates’ Welfare Fund. The case pertains to a medical college bribery scam against I M Quddusi (retired Orissa High Court judge) who was arrested by the CBI under the Prevention of Corruption Act. Quddusi allegedly used his influence to help Uttar Pradesh-based Prasad Education Trust in settling a matter involving their plea to set up medical colleges. The Trust owned one of the 46 medical colleges barred from admitting students. The accused were granted bail, which was not challenged by the CBI. A bench of Justices R K Agrawal, Arun Mishra and A M Khanwilkar had on November 27 heard the arguments advanced by the Attorney General K K Venugopal and advocate Prashant Bhushan, appearing for the organisation Campaign for Judicial Accountability and Reforms and reserved orders. During the hearing, Bhushan said the CBI, which is probing the matter, should hand over the material in the case to the SIT headed by a former CJI. Attorney General told the court that this petition is the verbatim copy of an earlier petition which was dismissed by a different bench. He called the PIL as misconceived and arguments submitted by Bhushan, that he wanted to protect the independence of the judiciary, disingenuous. Bhushan said all the aspects were not dealt by the apex court in its earlier verdict and he has filed this petition “to save the dignity, independence and integrity of the judiciary”. 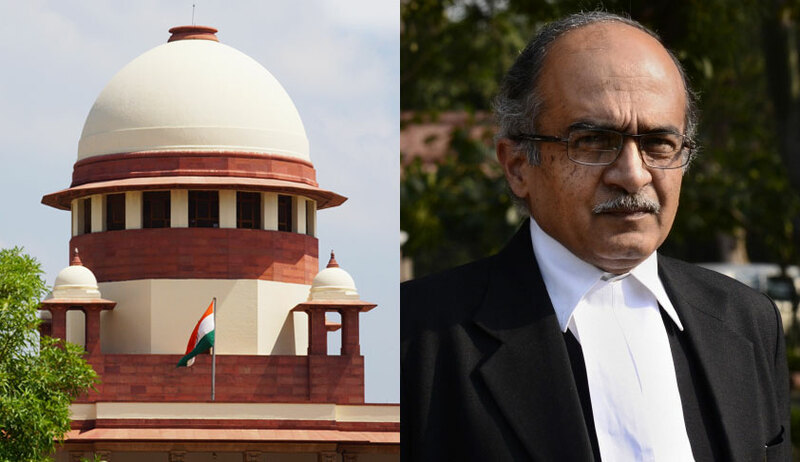 The bench questioned Bhushan,How come CJAR files a petition, being an unregistered body? Even, the affidavit also nowhere mentions the name of the person through whom this petition is filed. Bhushan said the petition was filed through the Secretary of CJAR and he will furnish all the required details. On November 14, the apex court had dismissed a plea seeking an SIT probe into an alleged case of bribery in the name of judges, saying it was wholly scandalous”. It had also deprecated the conduct of advocates in filing petitions aimed at bringing disrepute to the institution without rhyme or reason.